Graduating students in Bonn, Germany celebrate with classic hat-throwing. But is it enough? This is the graduation season, with universities awash with gowns, photographers and ceremonial handshakes. But how are you going to get noticed in the sea of catering tents and pompous speeches? 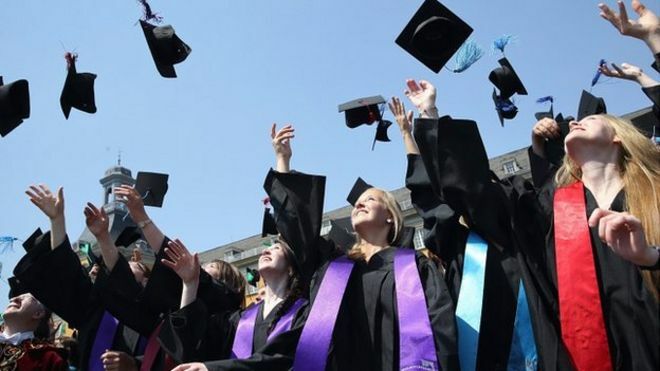 1) It’s all about the hat: What is it about hats and graduations? Years of studying and you get to throw an impractical hat in the air. But the hat is the graduation scene stealer – either with a look-at-me message written on top or with rows of hats creating that symmetrical overhead photo opportunity. Even when there’s a ban on throwing hats, that becomes the story. 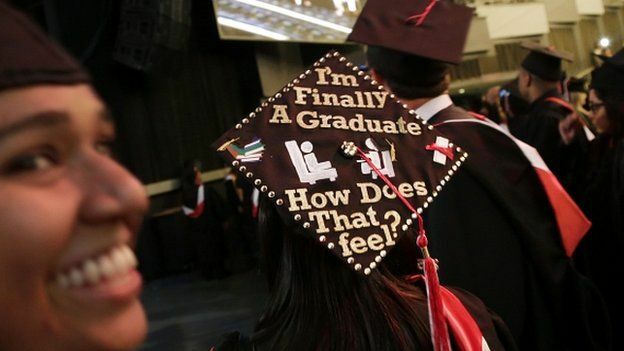 The attention-grabbing graduation ceremony needs a hat with a message and ideally someone slipping over when they’re wearing it. 2) Make your campus look like Hogwarts: Graduation is a curious mixture of ceremony, ritual, pseudo-religious imagery and young people feeling like they’ve achieved something against the odds. Which means there’s a lot in common with a Harry Potter adventure. 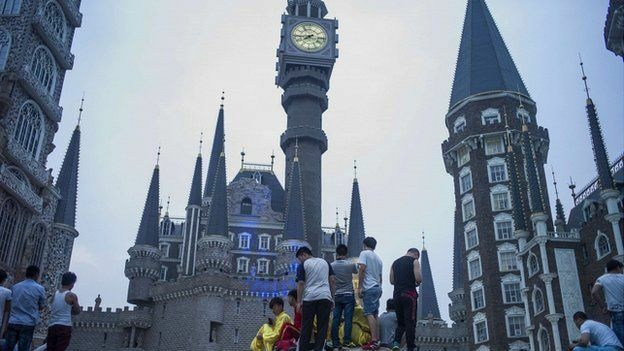 Hebei Academy in China has brought this full circle. Last month’s graduation drew the world’s photographers because it actually looks like it’s been staged on a back-lot in Hogwarts. 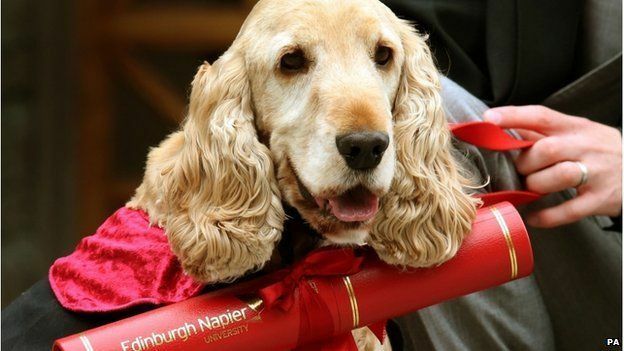 3) Bring a dog: Among the most photographed graduates this year must have been Fudge the cocker spaniel, pictured in his canine-size robes at his owner’s graduation at Edinburgh Napier University. “I know it seems eccentric, but Fudge has been part of my journey through uni since day one,” said owner, Jack Proctor. Fudge was unavailable for comment, but he is believed to be considering postgraduate studies if he can manage the fees. 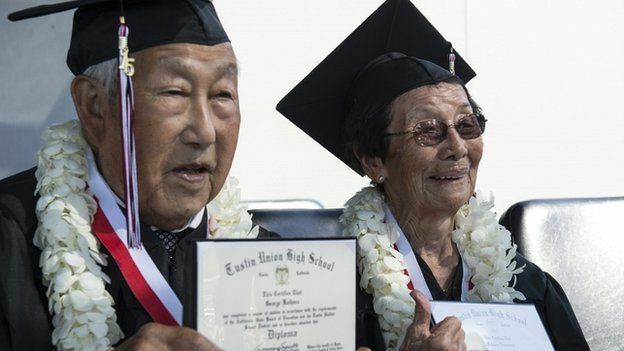 4) Old people with a poignant tale: George and Miko Kaihara, now aged 90, were part of the Japanese community in the United States interned during the Second World War. It meant that they never got to graduate. But that was put right last month, when these two veterans of the Class of 1943 finally got to pick up their diplomas. This is a much more uplifting way of getting people to see your graduation than funny pictures on YouTube of graduates in high heels falling over. 5) Keep them guessing: Particularly tough nuns about to take out the geography department? A remake of Sister Act with a special forces theme? 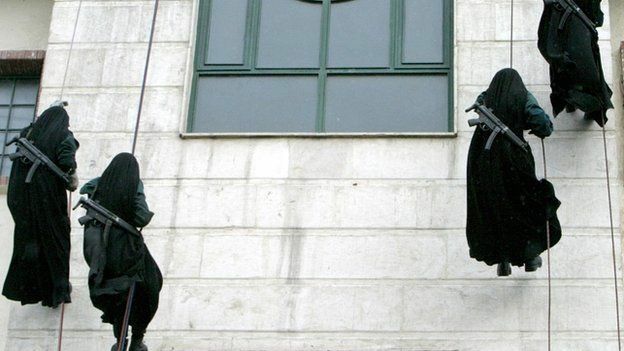 These were Iranian female police cadets showing their skills at a graduation ceremony a few years ago. It’s a little different from the “motivational” speech from the bloke from Norwich who sponsored the new sports hall. 6) Deploy an old rocker: “Our future starts in our past – but it doesn’t end there”. “Choose a direction and if the road turns – turn! If there is a fork in the road – take it! 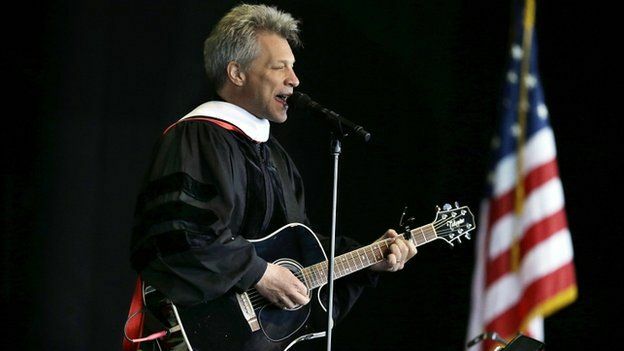 It’s ok to map out your future – but do it in pencil.” Wise, wise words from Jon Bon Jovi at Rutgers University last month. These philosophical insights were light work for a man who brought the world a breakthrough album called Slippery When Wet. 7) Famous face, awkward photo: You’ve got the US president at your graduation. Time for a serious face, full of respectful gravitas? Nope, an opportunity to pretend to be James Bond. President Obama went along with this Bond gag at a coastguard graduation ceremony. But that expression? Parent who wanted to be taken seriously forced to join in with the novelty dance at a teenage disco. Nice. 8) That big personal statement. Who can resist the perfect platform for a big statement? Friends and family are gathered, it’s a symbolic time of change, it’s a moment made for a big reveal. 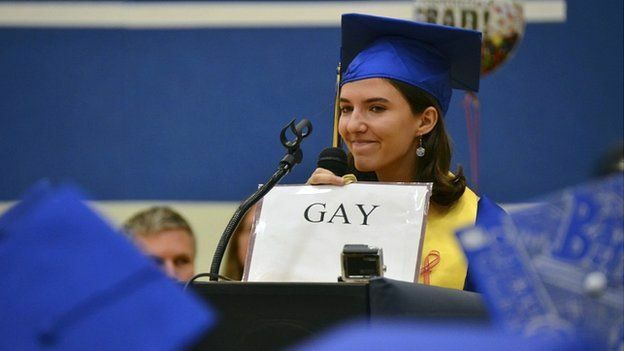 And so this year saw the coming out coming into the graduation hall. 9) Exit through the gift shop: Graduations have become merchandising opportunities. Part of the impact is now being felt, not just with a lump in the throat but with a substantial hit on the parental wallet. On top of the commemorative photos, outfit hire, food and souvenir mugs and T-shirts, there are now more upmarket souvenirs, such as graduation rings and jewellery. None of this fundraising feels as strange as some US colleges which offer university-themed coffins. 10) Toe-curlingly embarrassing dance routine: When they say something is going viral, it’s sometimes because it’s like a virus that makes you feel rather nauseous. Here’s the entirely spontaneous moment when students in Portsmouth, New Hampshire began to dance along to a Taylor Swift song. There’s something about organised fun that feels like you’ve been trapped in a terrible recurring nightmare.